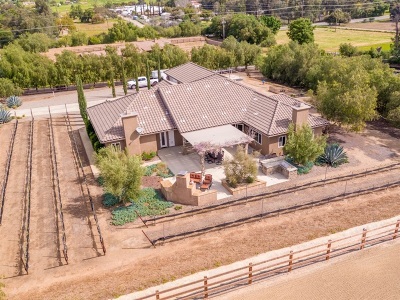 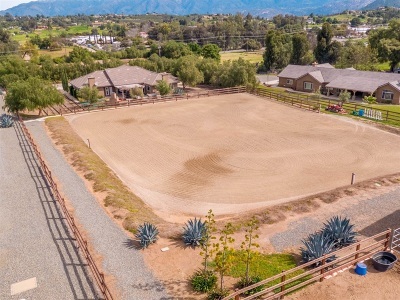 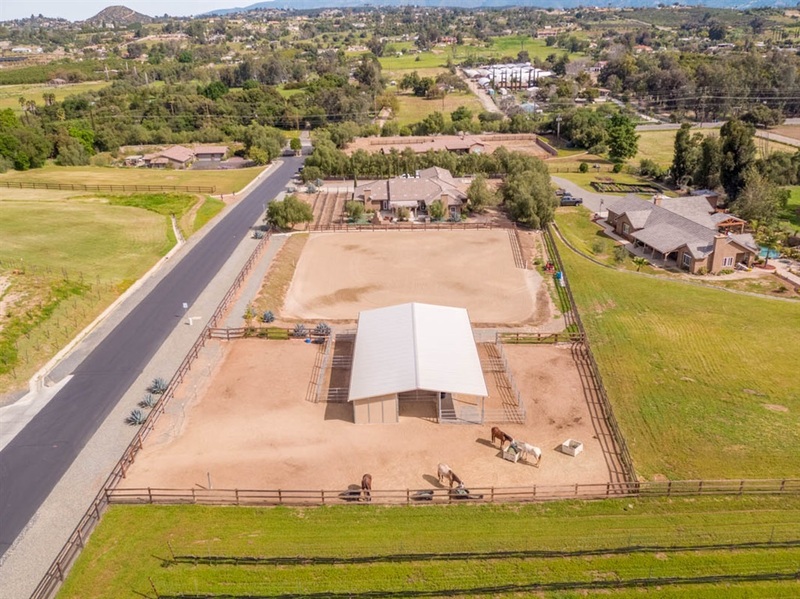 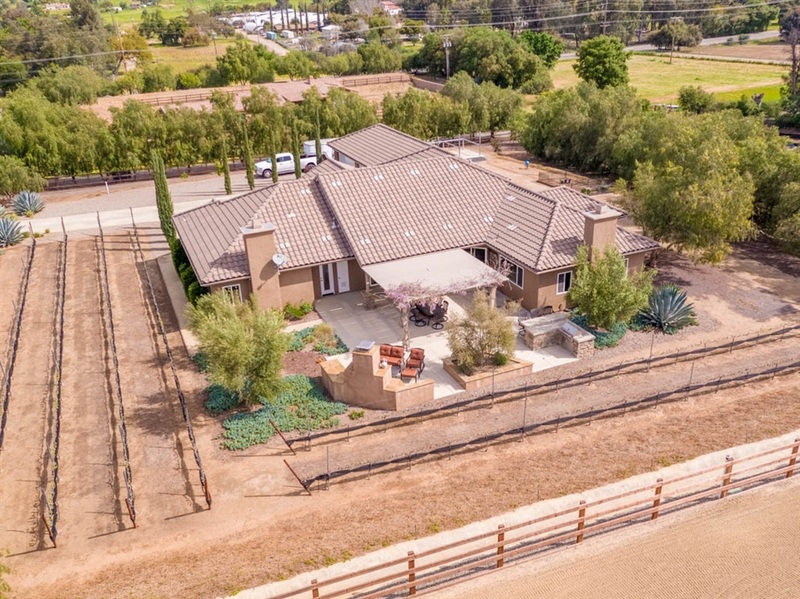 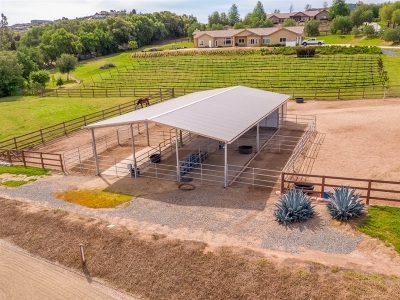 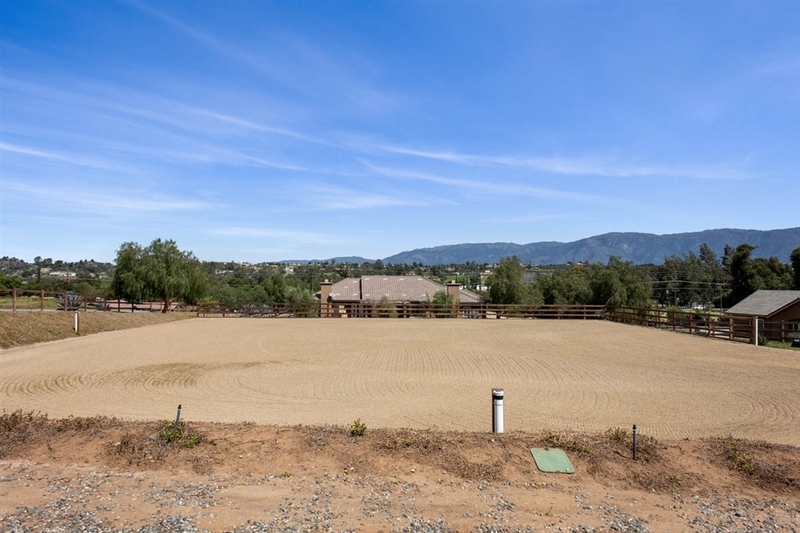 Beautifully finished, single-level custom equestrian estate with producing Malbec vineyard set on over 2 view acres in the desirable Hilltop Winery Estates. 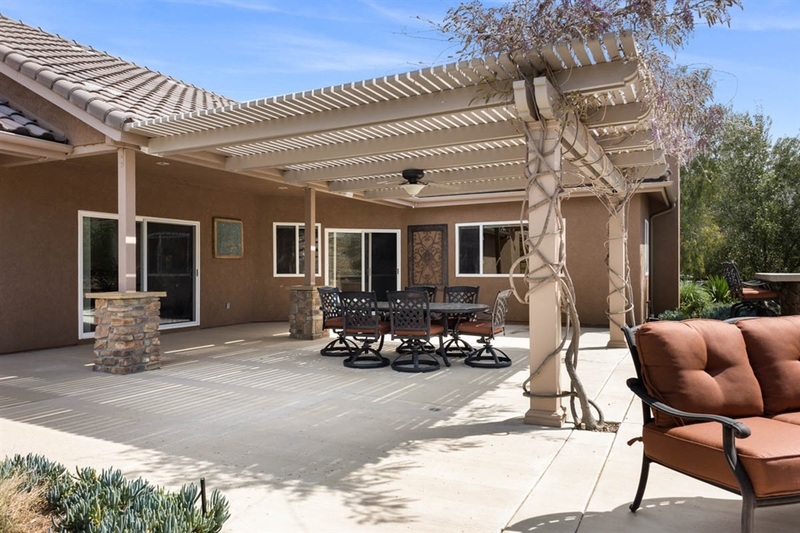 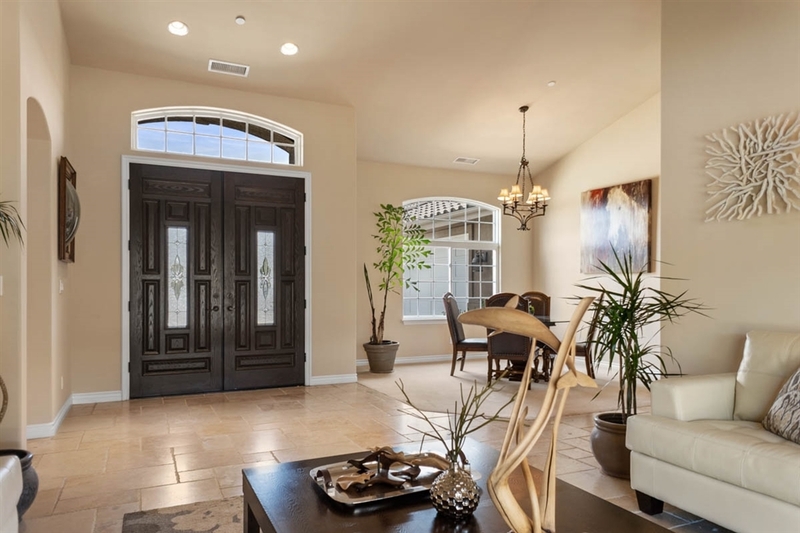 Outdoor entertaining and relaxation spaces compliment the 4 bed/3 bath impeccably maintained home, complete with an oversized 6 car garage. 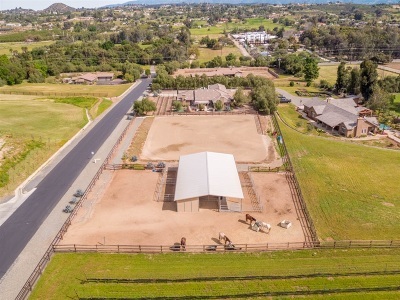 The 4 stall barn includes tack and feed room, turnout area, and irrigated arena with Nike Air Foot footing. 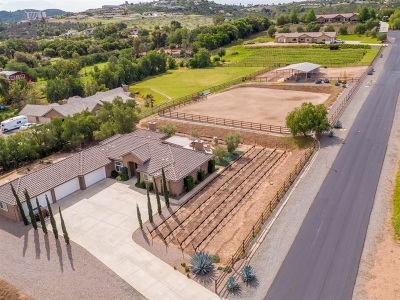 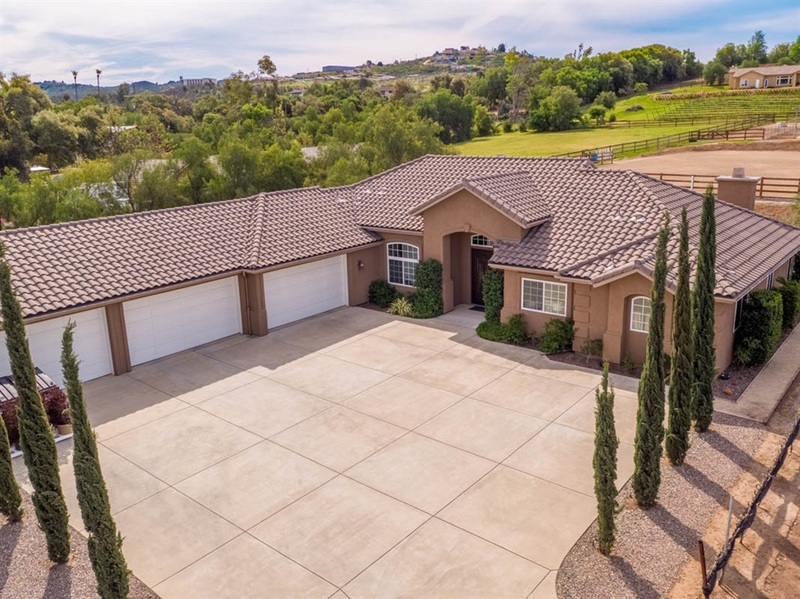 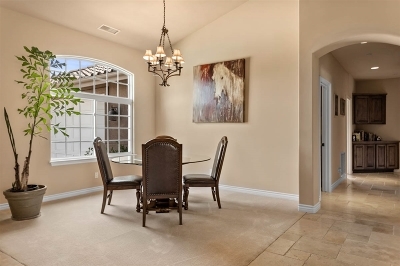 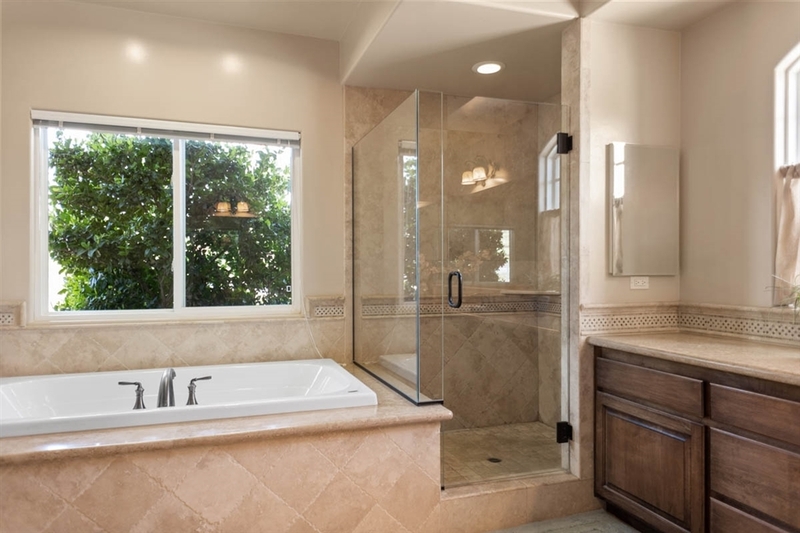 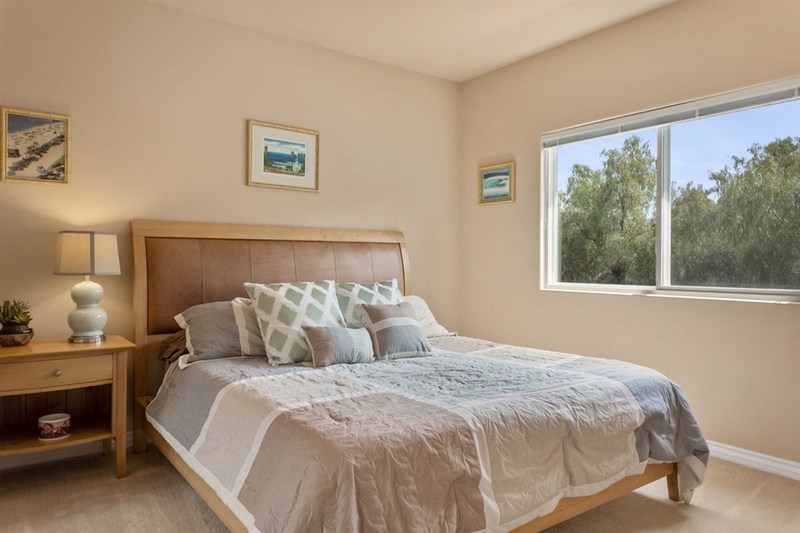 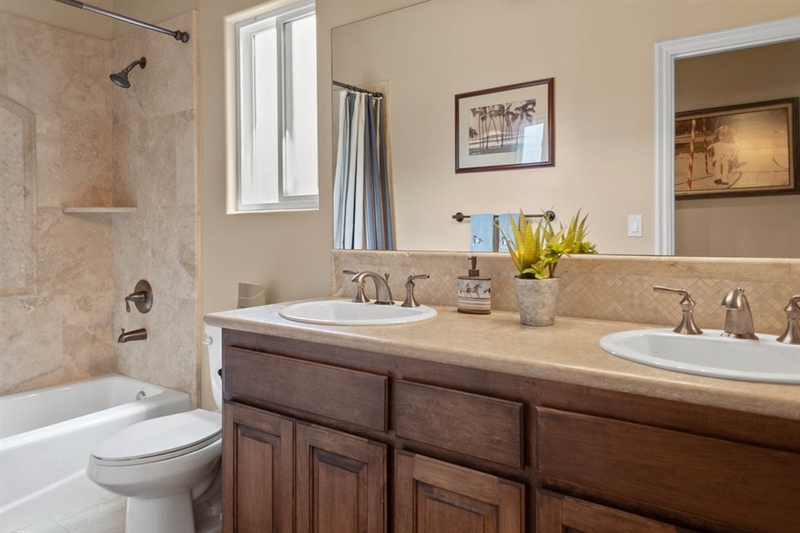 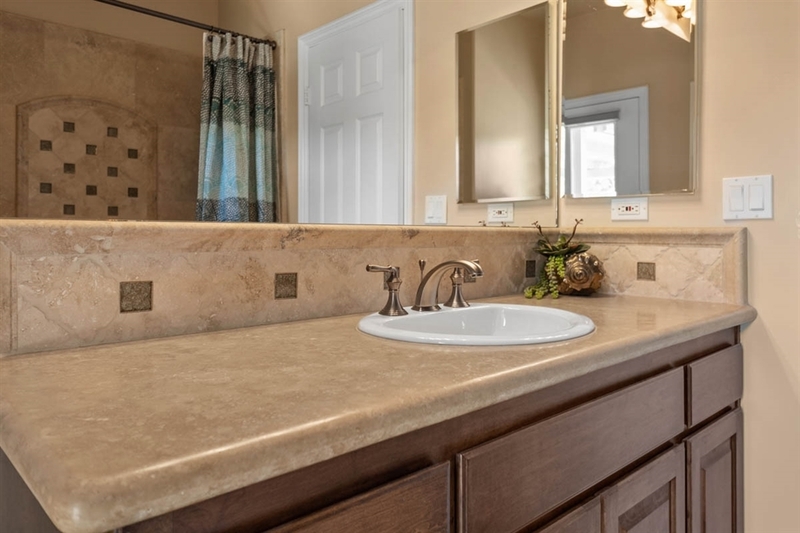 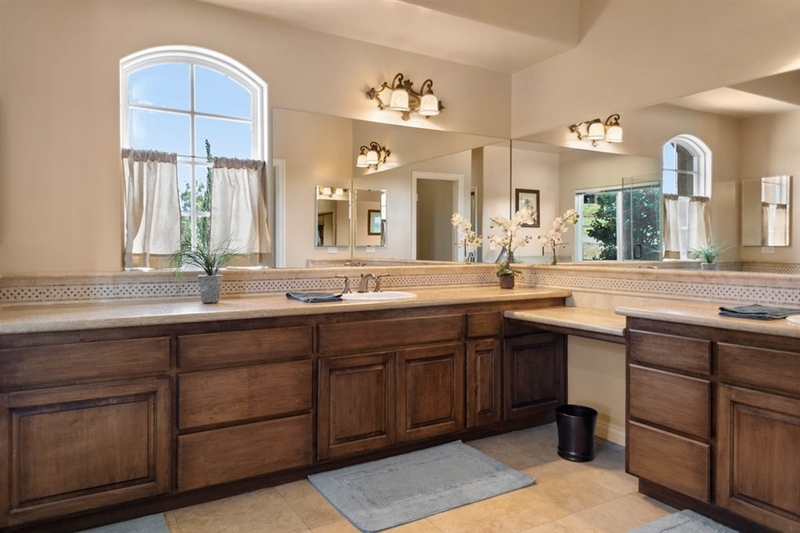 Family fruit trees include orange, lime, lemon, tangerine, apricot, peach, plum, persimmon, and avocado., Purchased in 2014 by first and current owner, this home has been masterfully upgraded and perfectly maintained. 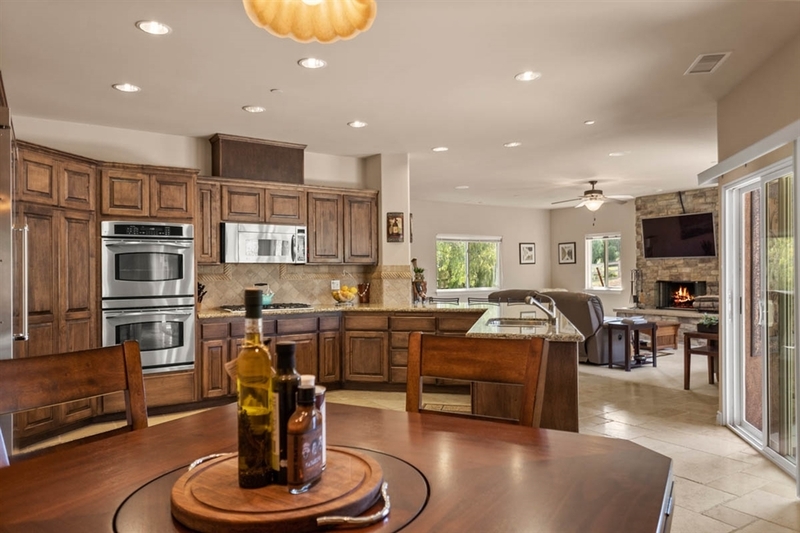 The chef's kitchen, complete with granite countertops and stainless appliances, beautifully compliments the stone floors and vaulted ceilings. 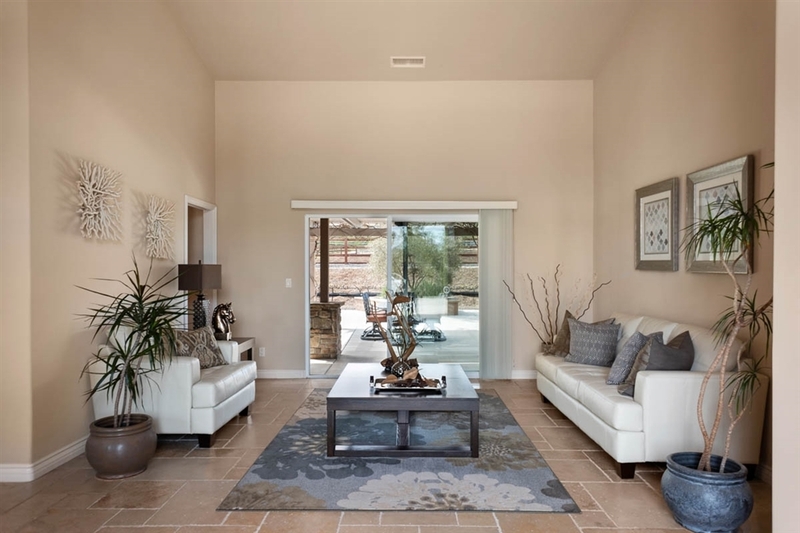 Fireplaces in both the family room and master bedroom add an element of warmth and comfort to the already inviting spaces. 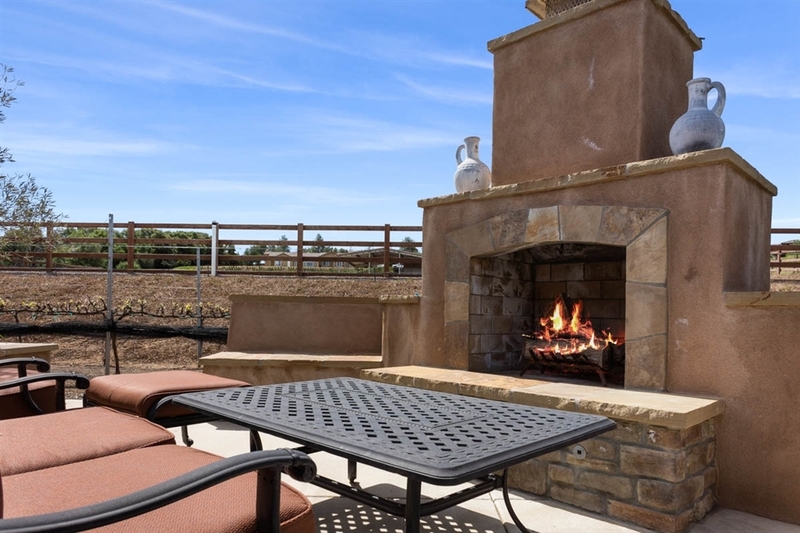 Indoor/outdoor living is at its finest with alumawood trellis, built in grill, bar and fireplace, professionally installed vineyard, and thoughtfully designed and professionally built horse facilities. 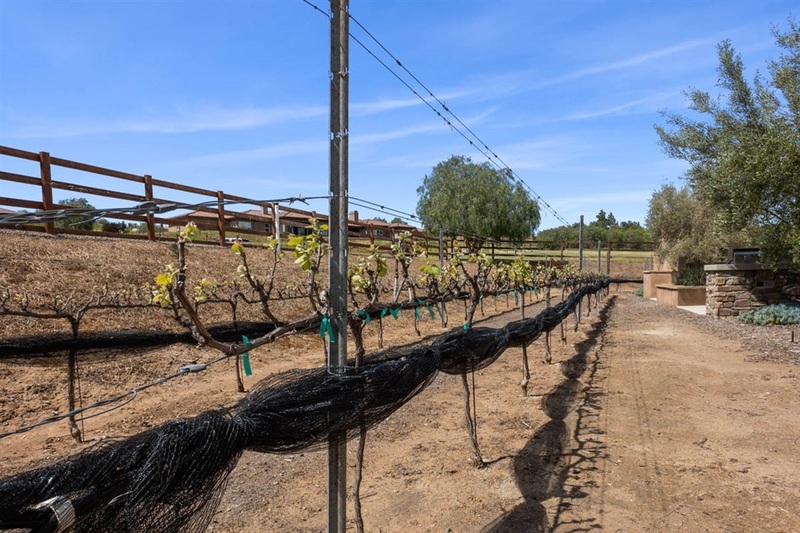 In the sixth year of production, the 126 Malbec vines, which are fully trellised, netted, and irrigated, yield between 300-400 bottles annually. 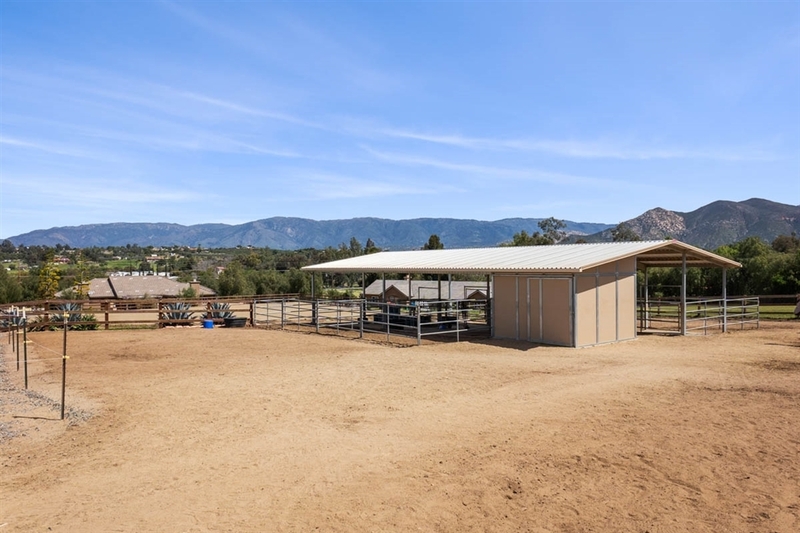 The lighted four-stall open-air barn, catches afternoon breezes and sits just above the 150'X130' irrigated riding arena. 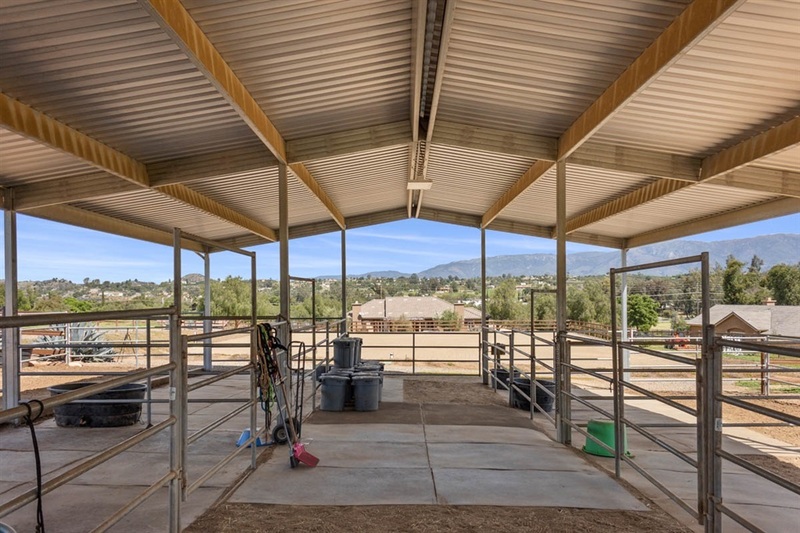 The horse facility also features trailer parking, an oversized washrack, and a huge turnout area. 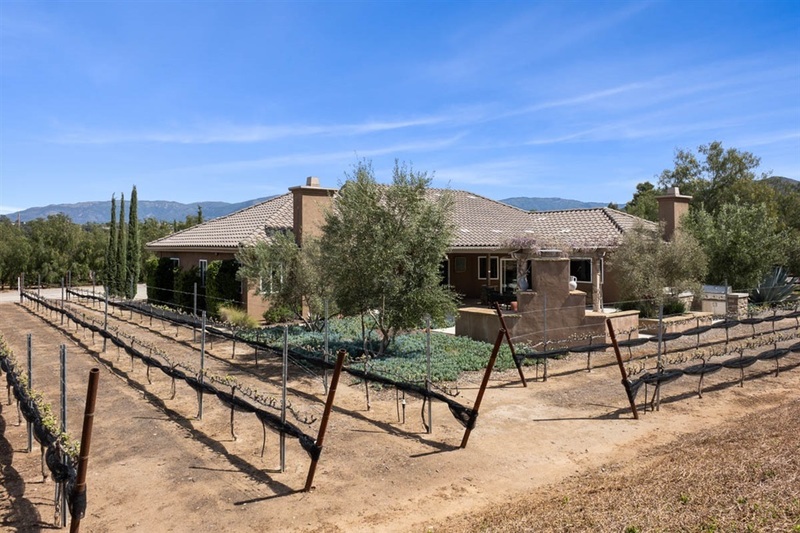 The fully landscaped property, including orchard, vineyard, and veggie garden, is kept beautiful with two automatic irrigation systems. 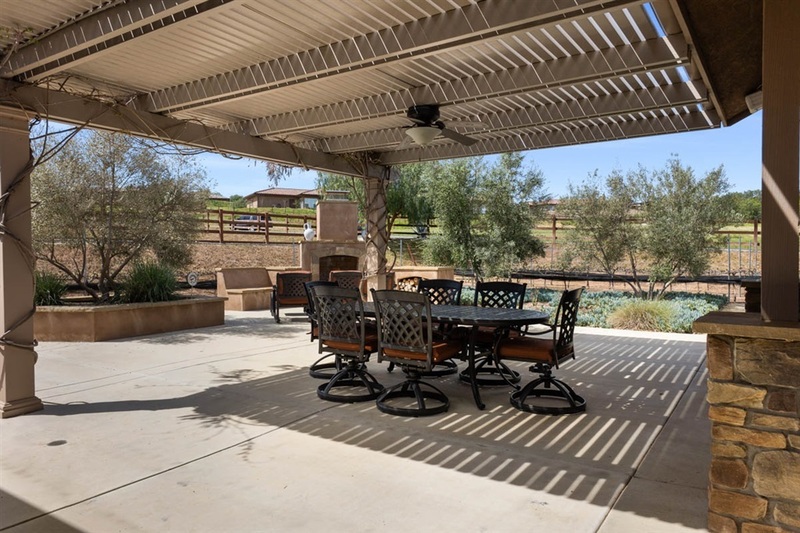 Entertainment abounds with easy access to the Hilltop Winery, top-rated Pauma Valley Country Club, and dining and shows at Harrah's and Valley View Casinos.